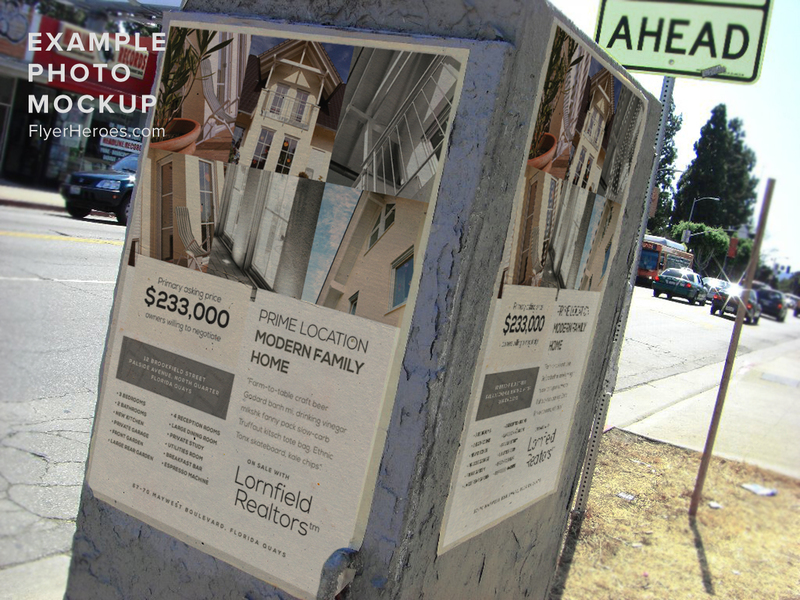 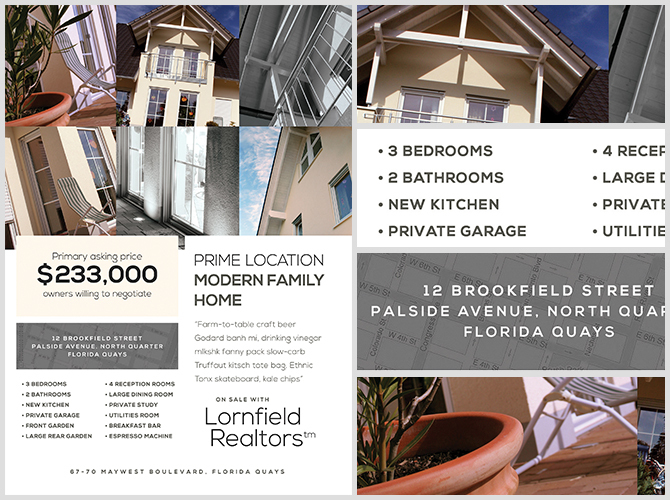 Lornfield Flyer Template is a simple, clean cut and straight to the point Real Estate Flyer Template for realtors, real estate agents and people who’re trying to sell their homes. 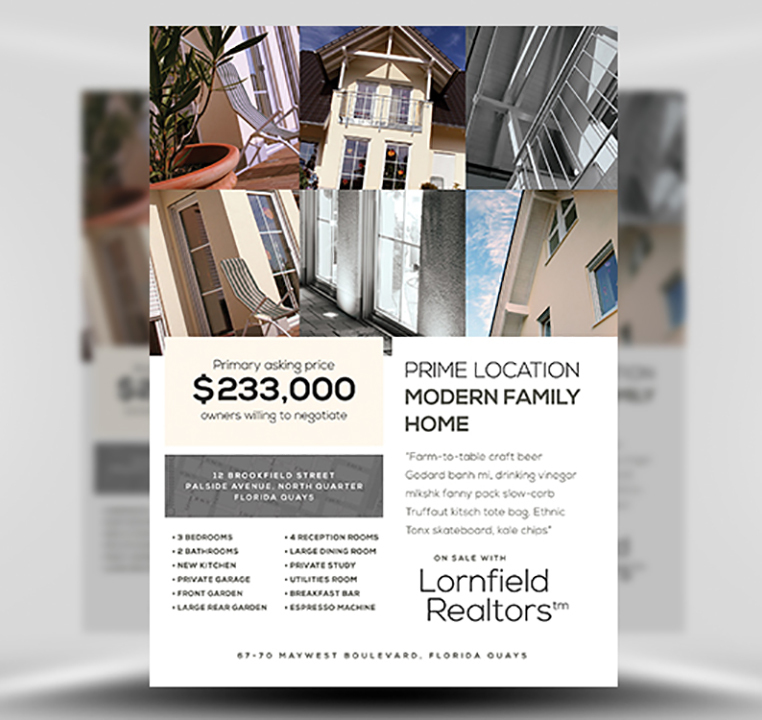 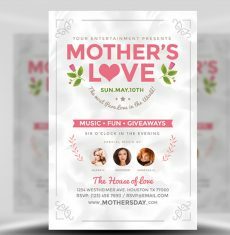 With a focus on text and clear photo presentation, Lornfield is an easy to use flyer template giving you the ability to create a unique design in minutes. 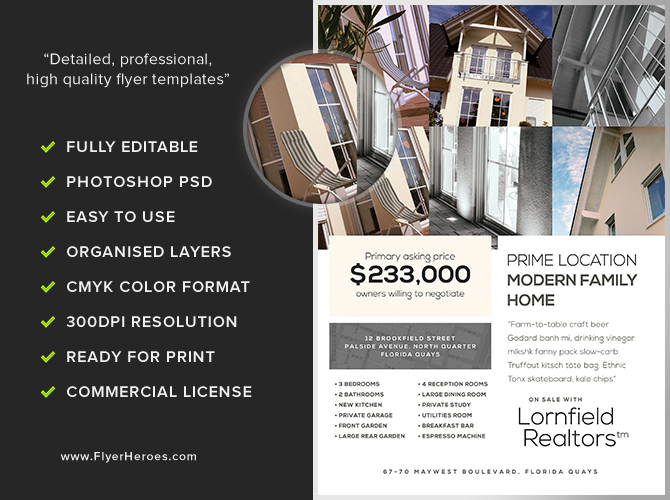 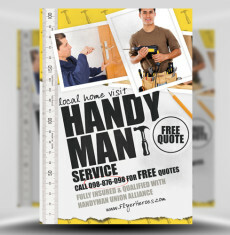 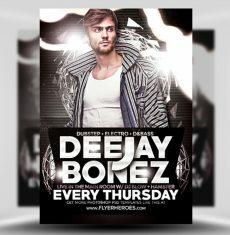 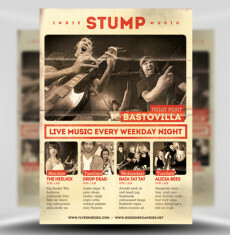 Lornfield Flyer Template is a premium Photoshop PSD flyer/poster template designed by FlyerHeroes to be used with Photoshop CS4 and higher.